I forgot how fun freehand work was! 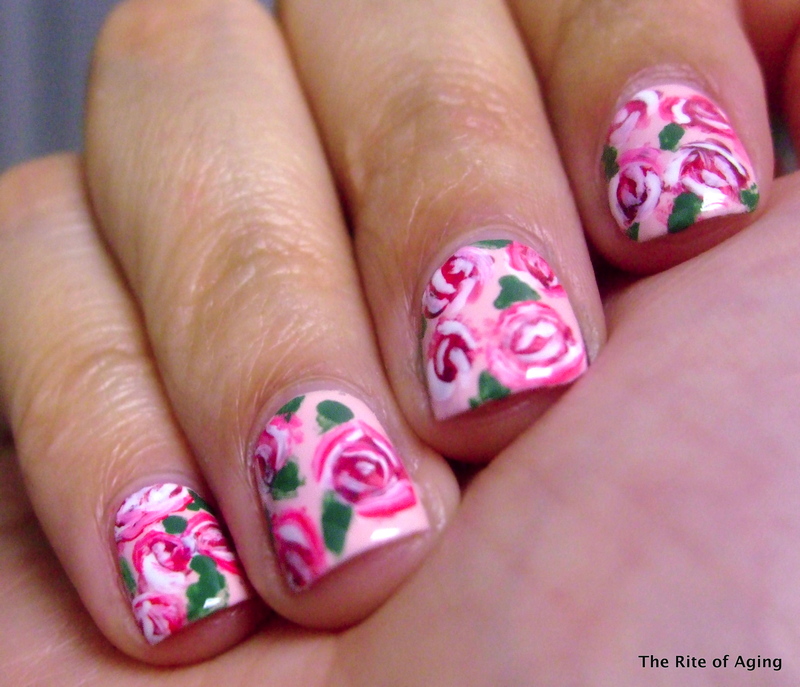 This is my first roses manicure but I think it came out really well! I used 2 coats of Sally Hansen Petal Pusher as my base. I detailed with Revlon Parfumerie China Flower, Julie G White Orchid, Sephora by OPI I Come in Peas and Milani Mauve Medley. This is beautiful! 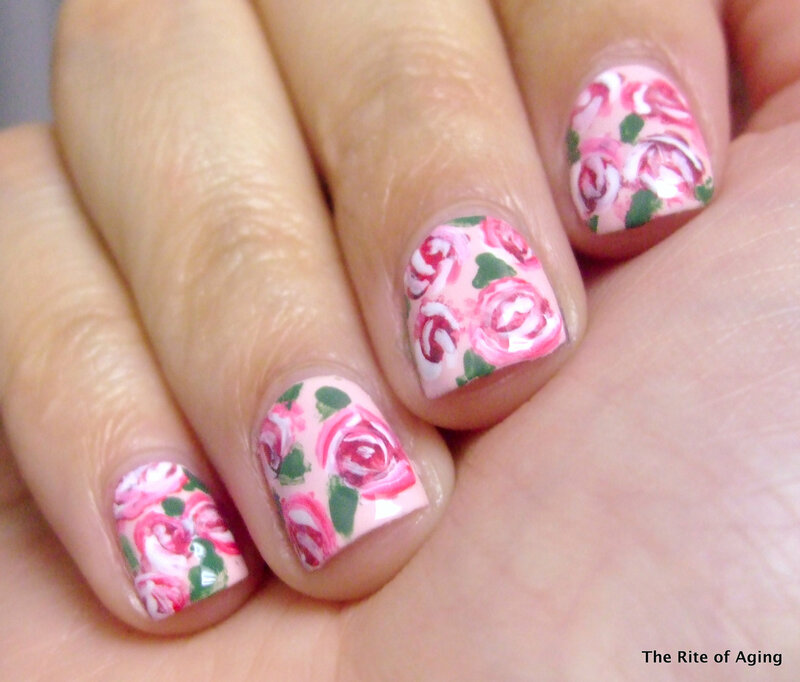 The different shades of pink inside the roses add such beautiful dimension! Thank you so much!! I was really nervous about trying freehand roses so I am glad they were a success! Thank you! I am so glad they came out looking like roses since this was my first attempt at them!